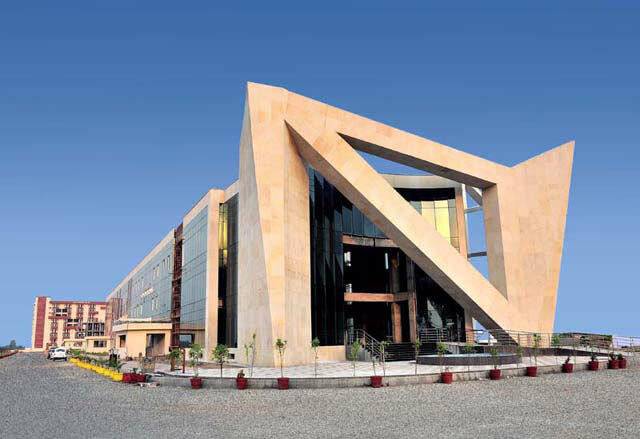 DAV University, Jalandhar is promoted by DAV College Managing Committee which is India's single largest non-government educational organization managing more than 800 institutions in the country. It has been providing students with an excellent education in modern academic environment. The University traces its roots to the legacy that has been reforming and redefining India’s educational scenario for 130 years. The University has been established by a Legislative Act of the Punjab Government and empowered to confer degrees under Section 22 of the UGC Act 1956. It is a multi-disciplinary institution, home to faculties of teaching excellence in subjects from engineering to languages to natural sciences including physical and life sciences. The setting up of the University is the culmination of the movement that started with the founding of the first DAV School in Lahore on June 1, 1886 to propagate the ideals of the religious and social reformer Swami Dayanand Saraswati. DAV University is spread across an area of about 72 acres and it provides an ideal ambience for pursuing professional courses and ensuring all-round development of students. The campus is well equipped with modern infrastructure including state-of-the-art buildings, round-the-clock power backup, canteens and huge parking area in the basement of each building. Playgrounds, sports and fitness facilities add to the quality of life on the campus. DAV University is the best university in Punjab in terms of quality education and student support. It is better than any college or institute in Jalandhar/ Punjab/ the region. Undoubtedly, it is the top university in Jalandhar.